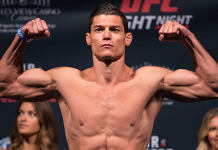 Alan Jouban, one of the UFC’s most exciting welterweights, is poised for a return to the Octagon. The all-action welterweight will make his return at the blockbuster UFC 213, this July 8 in the combat sports mecca of Las Vegas, Nevada. His opponent will be Colorado’s Brian Camozzi, the brother of experienced UFC middleweight Chris Camozzi. Let’s get it on!!! @ufc 213 July 8th in Vegas! 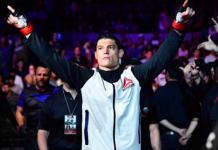 “Let’s get it on!” Jouban said of the fight on his official Instagram account. 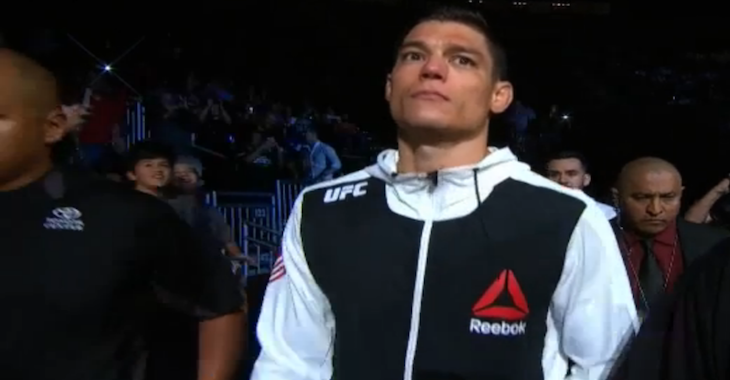 When we last saw Alan Jouban in action, he came up short in the biggest test of his career, a March showdown with Icelandic grappling star Gunnar Nelson. Nelson dropped Jouban with a head kick in the second, and finished him off with a choke in the subsequent moments. Prior to this loss, Jouban was riding high on a three-fight streak. This streak saw him knock out Brandon O’Reilly with a violent salvo of elbows and punches, decision the dangerous Belal Muhammed, and out-hustle knockout artist “Platinum” Mike Perry to a decision. Camozzi, meanwhile, was last seen in action in December when he was TKO’d by the rising Randy Brown. Prior to this loss, which occurred in his UFC debut, he was on an impressive, five-fight win-streak, having defeated Brian Maronek, Matt Cox, Tyler Milner, Kenneth Glen and Nick Barnes, all by knockout, TKO or submission. UFC 213 will be headlined by a women’s bantamweight title fight between champ Amanda Nunes and challenger Valentina Shevchenko. It will be co-headlined by an interim middleweight title fight between top contenders Yoel Romero and Robert Whittaker. 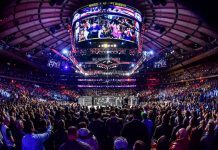 Other highlights of the card, meanwhile, include a welterweight fight between Donald Cerrone and Robbie Lawler, and a heavyweight rematch between Fabricio Werdum and Alistair Overeem. Do you think Alan Jouban can take out the welterweight finisher Brian Camozzi?